Vice President of the National Assembly Eduard Sharmazanov voiced his concerns over the Russian arms deliveries to Azerbaijan as he met with the speaker of Slovakia's National Council, Andrej Danko, on the sidelines of a working visit to Antalia, Turkey. The Armenian parliament official said that the MSM Martin company’s move to sell weapons to Azerbaijan is “highly troublesome and condemnable” for the country. “That state uses the weapons against the civilians in Artsakh [Nagorno-Karabakh],” Sharmazanov told the Slovakian parliament speaker. According to a press release by the National Assembly, the sides also discussed plans for developing the dialogue between the two countries legislative bodies, stressing the importance of more frequent mutual visits and a more active collaboration on the level of parliamentary friendship groups. They also considered the two parliamentary delegations’ cooperation within inter-parliamentary organizations. 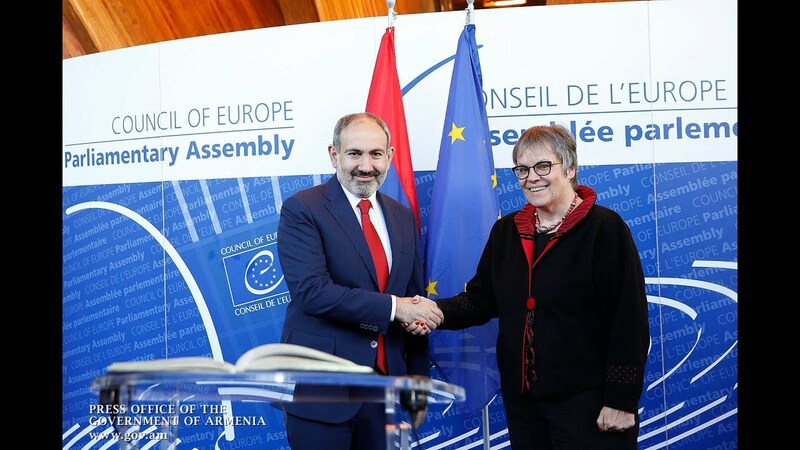 Sharmazanov highly prioritized Slovkia’s rapid move to ratify the EU-Armenia Comprehensive and Enhanced Partnership Agreement (signed in Brussels in December 2017).